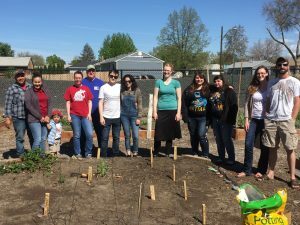 RICHLAND, Wash. – Education students at Washington State University Tri-Cities had the chance to put what they learned about school-community engagement practices to use with a new community garden experience that also educates community members about gardening, healthy eating habits and more. WSU Tri-Cities education students, their families and community members pose for a photo in the Richland Community Garden after hosting a planting day. 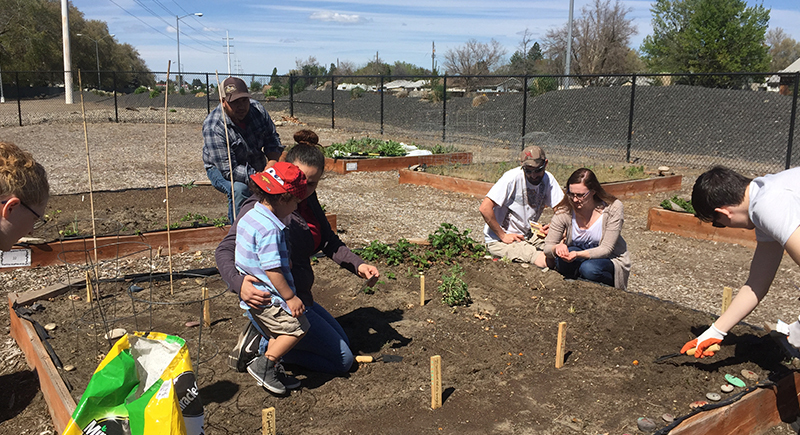 This spring, WSU Tri-Cities faculty and staff joined together to start a community garden as part of the new Personal Food Security and Wellness project on campus. The program aims to deepen the understanding of food insecurity among college students, staff and faculty, and mobilize efforts to ensure the campus community is food secure. WSU Tri-Cities education professor Sarah Newcomer and her students, all of whom are pre-service teachers, partnered with Debbie Conner, director of campus health and wellness, Jordyn Creighton, student financial and support services manager, and librarian Cheryl Farabee for the campus-community garden project. The group hosted a community planting event with Tri-Cities students and their families at the community garden in Richland and recently harvested their first produce from the garden. The goal of the project, Newcomer said, is to provide the pre-service teachers an opportunity to apply what they had learned about engaging with families and communities in the academic setting while also integrating culturally-responsive teaching practices into the community garden activity. Throughout the initial two gardening days, the WSU Tri-Cities students and families planted a variety of produce, in addition to painting rocks to help decorate the garden and creating multicultural signs to mark the various plants. The education students were responsible for organizing the event and worked with the families that attended to implement what they had learned about school to community engagement practices. 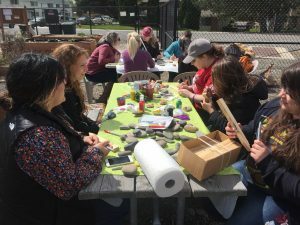 WSU Tri-Cities education students work with community members to paint rocks that are now featured in the Richland Community Garden during a planting day this spring. the importance of relating the students’ linguistic and cultural backgrounds to everyday instruction. With the planting day, the pre-service teachers learned how to plan and carry out an event that welcomes families. The WSU Tri-Cities students said by building classroom lessons around concepts that are familiar to the child’s upbringing, the child is able to understand the educational material better and become more engaged with the lesson. With the community garden activity, some of the family members involved had experience with agriculture and became community experts during the event. Newcomer said it allowed the pre-service teachers to partner with their students’ families while they learned more about their students’ “funds of knowledge,” or the abundant knowledge, skills and cultural resources for learning that students have access to at home. 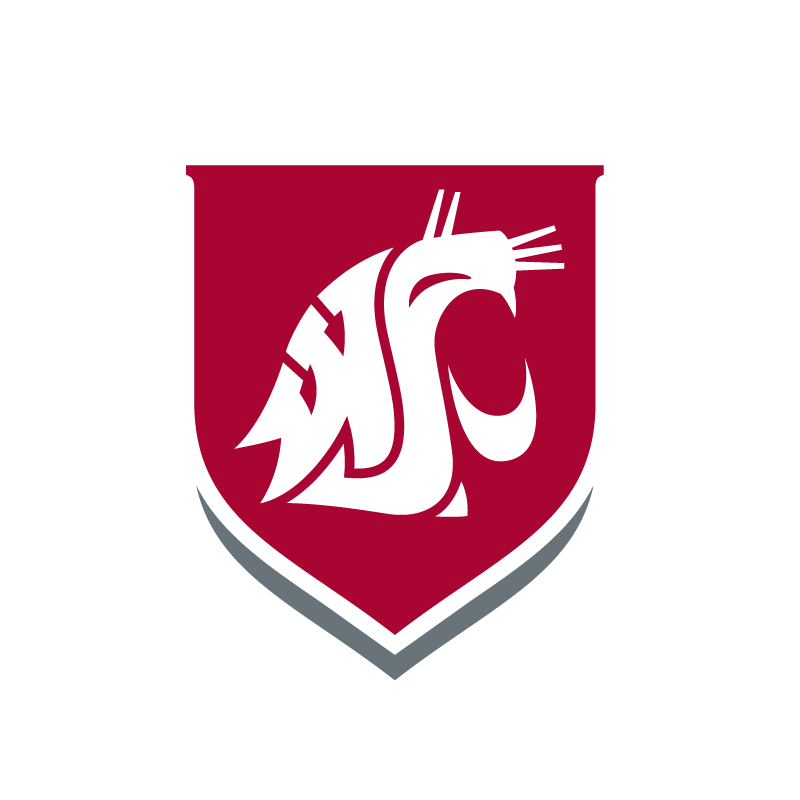 The produce grown from the community garden will be donated to the WSU Tri-Cities Cougar Cupboard, the campus’ food pantry for students and their families. 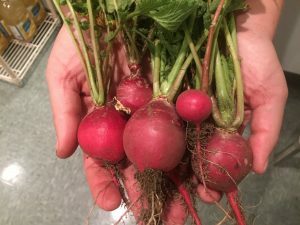 WSU Tri-Cities education students recently harvest some of their first produce from their plots at the Richland Community Garden, including the radishes pictured. In addition to the benefits of the learning component, Farabee said she hopes the project will inspire community members to consider growing their own produce. Current and future education courses will continue to host planting and harvesting days for the garden as a means to practice school-family engagement projects and for integrating culturally-responsive teaching practices.